Greetings all! 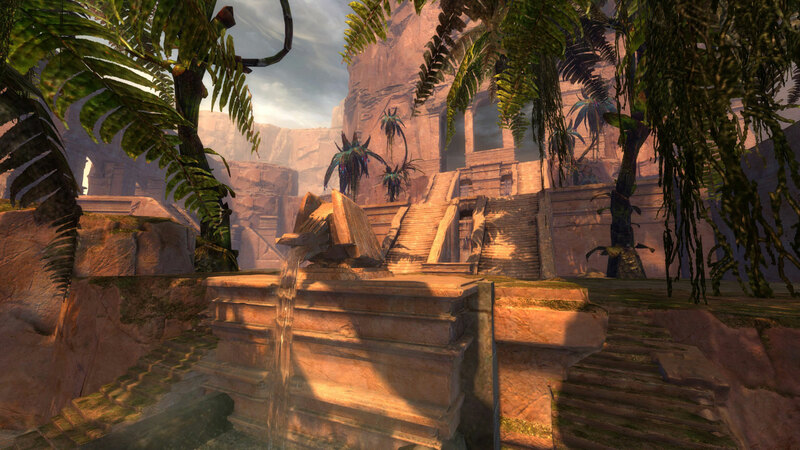 Guild Wars 2 Game Director Colin Johanson recently made a State of the Game post for the first quarter of 2016. There are some things we know and some new things we don’t. I’ll summarize each piece coming this year and my thoughts will be laid out at the end; so you can skip to that if you read the state of the game already. Now, let’s delve in. 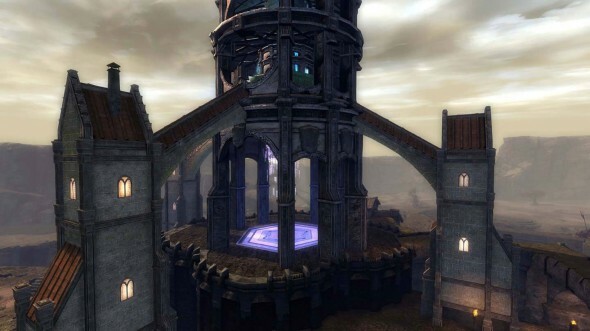 Gliding To Central Tyria: If you have the gliding mastery you’ll be able to use your glider in any open world map or city in Central Tyria (no dungeons, story instances or Fractals). There will be some No-Fly zones around some areas such as the end of jumping puzzles to prevent skipping content. Updated Shatterer Fight: This world boss fight is getting an update as well as an achievement category, upgraded reward chest, increased experience earned & unique back item. World & Raid Boss Decorations: Speaking of bosses, certain raid and world bosses will drop tokens your guild can use to buy decorations. These decorations can be further upgraded into trophies that resemble the chests after you defeat these bosses. Quality of Life Fractal Updates: LFG tool will be updated to help for looking for higher scale fractals. Daily fractals will appear as the daily in the top right daily achievement UI when inside Fractals. The fractal hub will also be updated to allow players to swap fractal level while inside to negate rezoning to Lion’s Arch to do so. Healer Recognition: Healer’s will still have to tag an enemy for participation but healing, removing conditions, and applying buffs to allies will now count for additional contribution. Squad UI Upgrades: Squad leaders will have access to markers to place on the map that show up for squad in the game world and the mini map. Leaders can also make lieutenants to help lead subgroups, invite/remove players & broadcast messages. 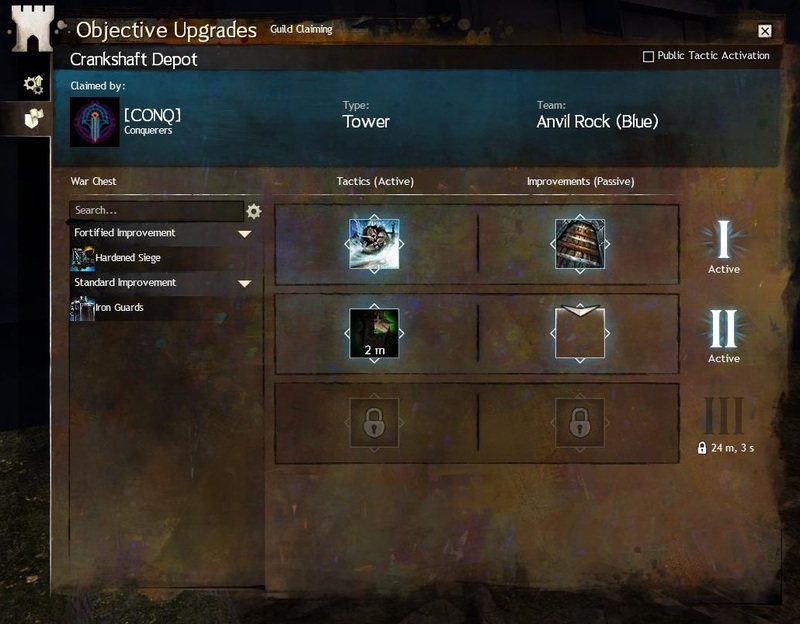 WvW Upgrades: Secured, Reinforced and Fortified objective upgrade levels for objectives will be done after a certain number of dolyaks have reached the objective; this is to allow upgrade denial. Each kill in WvW will award 1 point to your world’s War Score. The number of players that can rally of a kill will be reduced from 5 to 1. Finally, a player cannot revive fully dead players while in combat. New Stronghold Mist Champion: Tybalt Leftpaw will be a Mist Champion available to players by completing his reward track. Major Balance Update: an update to balance each profession for a new meta. You can read about that here. More Controls: There will be additional key binding controls for action camera, snap ground targeting, auto targeting to allow for push-to-toggle or hold-to toggle use. A new check box for viewing object names in the world (without holding down a key) will also be added. Eldvin Monastery Brew of the Month Club: Master Brewer Desch Metz in Queensdale is starting a monthly brew club. Visit a major city once a month to receive a package in the mail for that month’s brew. After getting all 12 brews, you will receive a title, a brewer’s backpack skin and a guild decoration. Note that this content is set to come out between now (January) and the end of March. Lunar New Year Event: the yearly lunar event will be available in Divinity’s Reach on January 26th till February 9th. There will be Dragon Ball PvP, fireworks, and decorations. New Raid Wing – Salvation Pass: Later in the year, the next raid wing will continue investigating the missing PAct Squad along with new challenging bosses, rewards, masteries and access to more for the legendary armor collection. New PvP League Season: Ranked season will start on February 23rd with all new improvements to the League system. Badges and the guild leaderboard will be reset. You can continue building your legendary PvP back item. Pro League Season 1 Finals + Relegation Tournament: In February the Pro League Season One Championship will take place where team will compete for a $200,000 USD prize pool. Living World Season 3: This will continue the story post HoT and hit on some questions that weren’t answered in the main HoT story line. Fractal Update: This includes the needed steps to finish the legendary back item, fractal leaderboards, brand new fractals, polish and balance to existing fractals, rewards, and instabilities. Big WvW Update: This is the big overhaul to WvW that was suppose to come out before HoT. This project has been worked on for the past year to solve core WvW issues like population balance, scoring, rewards, and the need for 24-hour coverage. There will be a beta phase for this sometime later. WvW tournaments will return once this update comes into play. So I’m not personally excited for all the changes coming at the end of the month. I will admit that some of these changes are great. Gliding in core Tyria will be fun, I’ll be jumping off all the things, and looking forward to the Shatterer fight. Fractal and Squad UI quality of life changes were really needed. I like the viewing object names option we’ll be getting as it’ll let me free up ctrl key for key bindings. I can honestly say the major balance update has me more on the edge of my seat than anything else due to waiting and seeing what happens to Thief (which is my main profession). I have very strong opinions when it comes to Thief balance. Early 2016 content were expected things but I am interested in. The 2nd season of PvP League will be better due to a stronger ladder to climb without (hopefully) dealing with fewer exploitation issues. Of course, I want to play the new raid wing as well; I feel that the first wing was done really well and is one of the best things about Heart of Thorns. Later in 2016 content is what I’m really interested in. Living World was always something to look forward to, new fractals would be fun and the WvW overhaul will be very interesting to see since it was to be shipped (ideally) before HoT. Sadly this will probably be around or after June. I think personally I’ll have enough content to do until the bigger changes roll in. Gaining rank in WvW rewards you with Proof of Heroics that players can spend at heroic vendors for superior weapon siege blueprints, Notarized Scrolls of Heroics and Notarized Scrolls of Magumma Heroics. Consuming a Heroics scroll randomly completes a Hero Point in the core game while consuming a Magumma Heroics scroll randomly completes a Hero Point in the new Maguuma areas coming in Heart of Thorns. Magumma Heroics scrolls are only available to players that have Heart of Thorns. Players can keep buying these scrolls until they have all the Hero Points unlocked. Combining 1 proof and 30 Badges of Honor yields 1 Notarized Scroll of Heroics. Combining 5 proofs and 150 Badges of Honor yields 1 Notarized Scroll of Maguuma Heroics. Due to the changes above, liquid experience you get via some WvW rank ups, dailies and the laurel vendor are going away. Any players with these liquid items in their inventory when Heart of Thorns releases will get WXP boosters that vary in duration (depedning on how many liquid items were converted). The laurel vendor will no longer sell liquid experience. Daily WvW achievements reward players with a general 20 minute auto-booster that works in all game modes. Other methods that had liquid rewards will reward auto-boosters in the same fashion. Good news for those who want to purely WvW and get the new elite specializations eventually. Some icing on the cake as we’re just days away from Heart of Thorns launch. Definetly a big plus to the current UI and will be very helpful in both WvW and PvE! Guilds in WvW will have cleaner guild claiming options when Heart of Thorns rolls in. Tyler Bearce shared this info in a blog post. To upgrade a claimed objective you need to speak to a Quartermaster or click on the objective’s map marker in order to open the the upgrades panel. In this panel there’s two tabs; the first displays general upgrade info – a list of active upgrades and timers for the next tier to be unlocked. The second tab displays the upgrades themselves. It’s a little confusing so I’ll add a picture below for reference. The War chest, located on the left side of the guild panel, contains all the upgrades your guild owns; more can be made in your guild hall via crafting. The right of the War chest has the guild tier upgrades. There are usually two to three tiers per objective. Each tier has two upgrade slots. The first slot is for tactical upgrades. These upgrades provide temporary effects that are triggered by a special level inside the objective. The cooldown till the effect can be triggered again is usually about 15-20 minutes. Only guild members with the “Public Tactic Activation” flag can use this lever. The other upgrade slot is for improvements. This is for passive effects and last until an enemy team captures the objective or the upgrade is replaced by a different one. Both upgrades takes 3 minutes to build. Tier I unlocks after a guild has held the objective for 10 minutes. Tier II unlocks after a guild has held the objective for 30 minutes. Tier III unlocks after a guild has held the objective for 60 minutes. Temporarily summon chill inducers that will chill all invaders at the objective. Makes the next set of dolyaks invincible, guaranteeing that they will reach their destination. Summons a Centaur Banner. The banner provides the wielder access to powerful offensive skills, as well as a defiance bar. Skill 1—Summon a centaur at your position that charges forward, crippling enemies and giving you stability. Skill 2—Calls down a cascade of arrows in a wide line in front of you, inflicting bleeding on enemies. Skill 3—Charge forward, kicking up dirt that blinds your enemies and makes them vulnerable. Skill 4—Create a circular, spiked barricade that bleeds enemies inside of it. If players try to leave the barricade, they are immobilized. Skill 5—You transform into a centaur spirit and continually knock enemies out of your way, applying bleeding, blinding, or cripple. Summons a Turtle Banner. The banner provides the wielder access to powerful defensive skills, as well as a defiance bar. Skill 1—Lob a magical turtle shell at a location. On impact, grants nearby allies protection and applies weakness to enemies. Skill 2—Create a bubble that destroys projectiles and heals allies. Skill 3—Up to 10 nearby allies become immune to physical damage for 5 seconds. Skill 4—Place a wall that grants resistance to allies and slows enemies that pass through it. Skill 5—A giant spirit turtle splashes into the ground with such force that it launches nearby enemies and grants stability and protection to allies. Summons a Dune Roller. This will transform one player into a charr car for 15 minutes, granting them increased mobility and siege damage. Skill 1—Fires a rocket projectile that deals siege damage. Skill 2—Rush forward, leaving behind a trail of fire and evading attacks. Skill 3—Lay down a smoke screen behind you, blocking enemy projectiles. Skill 4—Leap at your foes, stunning them. Skill 5—Fire three incendiary rockets. On impact, these rockets will leave behind patches of fire. Summons a Dragon Banner. The banner provides the wielder access to powerful offensive skills, as well as a defiance bar. Skill 1—Send forth a cascade of fire that damages enemies and applies might to nearby allies. Skill 2—Drop an explosive dragon talon, damaging and stunning foes and giving surrounding allies fury. Skill 3—Launch a fiery dragon-spirit projectile that does siege damage and knocks back enemies. Skill 4—The powerful flap of a dragon’s wings launches enemies backward and gives nearby allies super speed. Skill 5—Call forth dragon’s breath in a massive line that damages and burns enemies. Allies standing in the fire gain quickness. Temporarily makes all walls and gates at the objective invulnerable. Temporarily creates an incontestable waypoint at the objective. Deploy bombs at the supply depot that will explode if the objective is captured by an enemy team. The explosion will destroy all remaining supply at the objective. Gates can only be damaged by siege weapons. Dolyaks gain increased health and toughness. Guards gain the Iron Hide effect, reducing incoming damage by 50%. Cannons, mortars, and oil pots can only be damaged by siege weapons. Dolyaks now carry twice as much supply. Automatic turrets are deployed above the objective’s gates. A spy balloon is deployed above the tower, which will mark nearby enemies on the map. Allied players gain double effectiveness of the keep’s objective aura while within the perimeter of the keep. The fountains in the castle’s courtyard grant stealth to allies.